Reeling from Valentine’s Day inundation of red hearts, candies and flowers, this post provides an antidote by calling attention to the color black (what some view to be the color of their hearts). 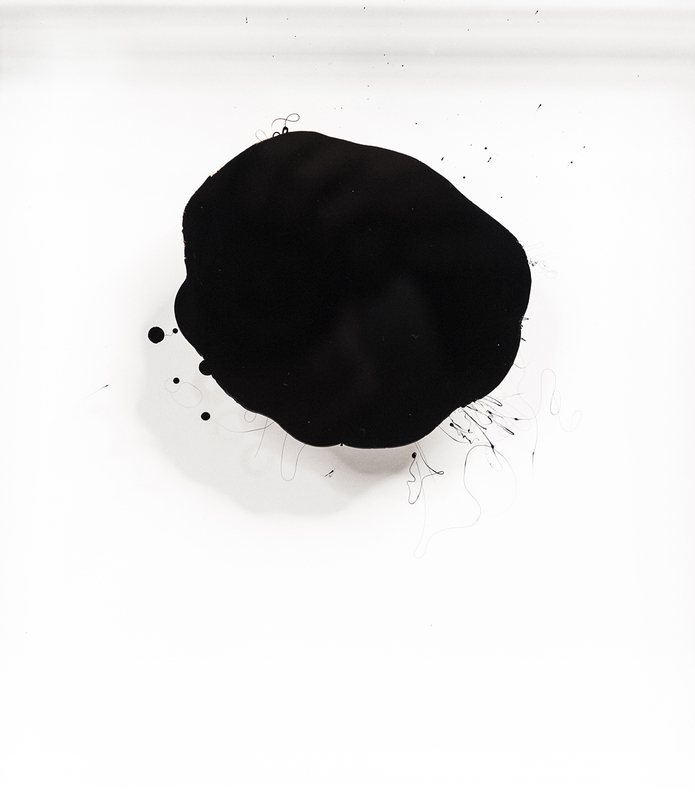 Tony Vazquez-Figueroa, Black Mirror, Portrait III, Bitumen in plexiglass, 2017, LnS Gallery. Click to inquire. In our last post we highlighted the red accents of FADA’s inventory in celebration of this month of love. Reeling from Valentine’s Day inundation of red hearts, candies and flowers, this post provides an antidote by calling attention to the color black (what some view to be the color of their hearts). Joel Grossman, Approximate Square Series Nos. 17, 11, 21, Gold leaf and sumi ink on paper, Beatriz Esguerra Art. Click to inquire. While many associate the color isolated in paint form in modern abstract expressionist compositions, the color has been punctuating canvases throughout time. More than a color of superstation or mourning-black brings about a nobility. This can be seen in the Mannerist portraits of Bronzino, who’s sitters wear black with admirable severity. 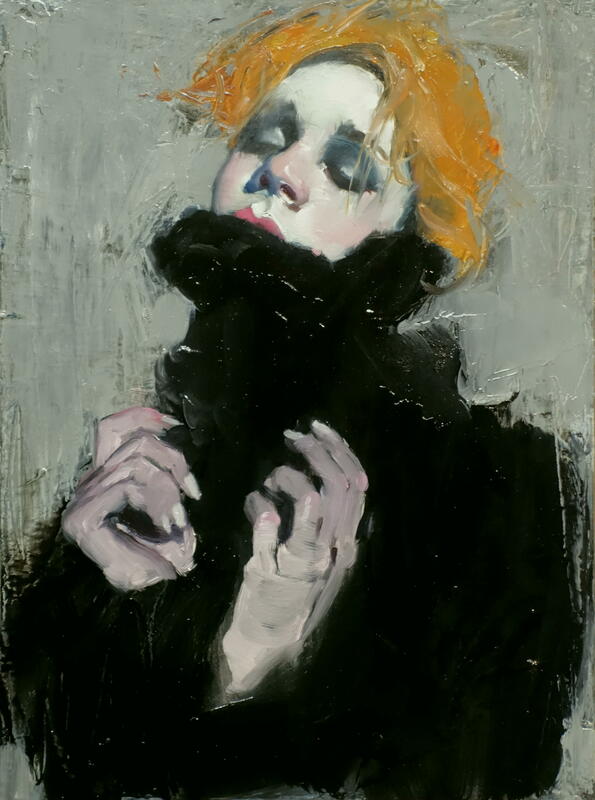 Malcolm Liepke, Black Sweater, Oil on canvas, Arcadia Contemporary. Click to inquire. 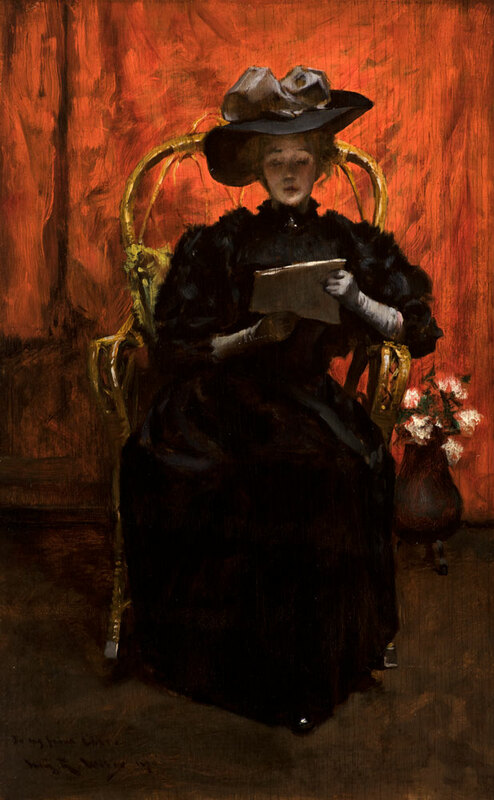 Irving Ramsey Wiles, Lady In Black: The Red Room, c. 1890, Godel & Co. Fine Art. Click to inquire. In FADA’s inventory of portraits, those wearing black, especially when paired with other colors, visually excite. Likewise, the use of black backgrounds, whether or not in the depiction of the natural world, appropriate a physical form. The color is itself an object-a feature in the composition. 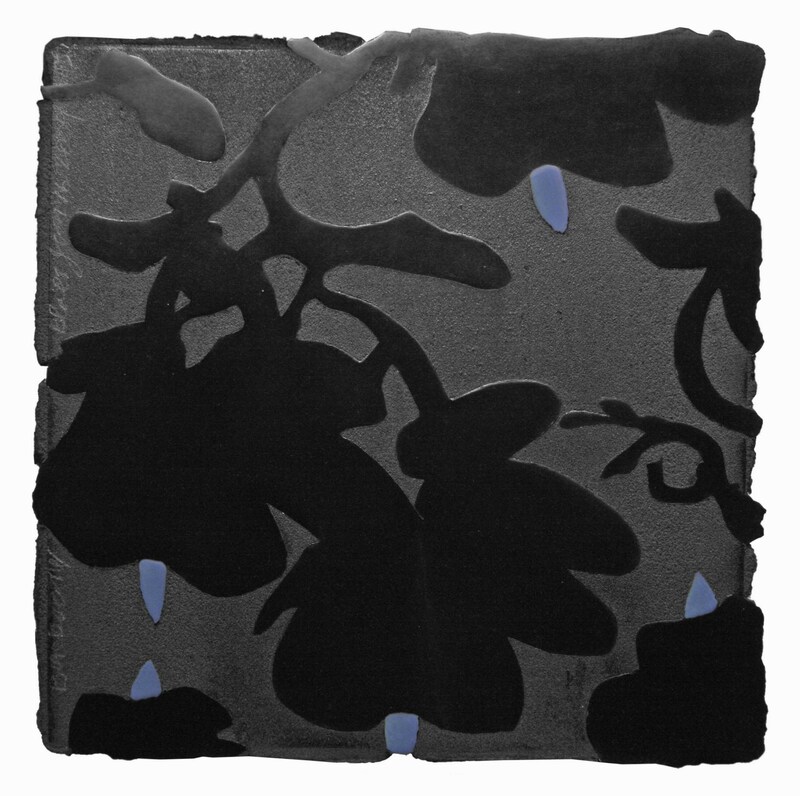 Donald Sultan, Blacks And Blues Jan 16 2009, Enamel, tar and spackle on tile over masonite, Leslie Sacks Gallery. Click to inquire. 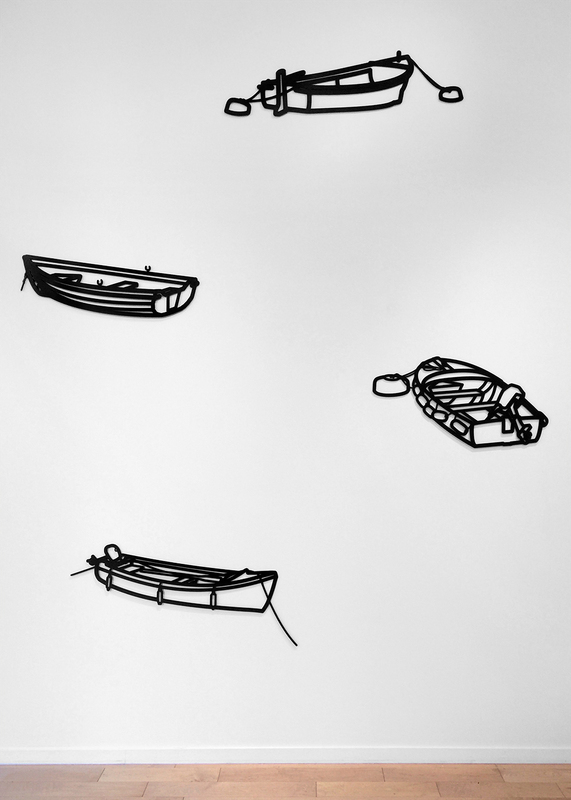 Julian Opie, Nature 1 – Boats, Jonathan Novak Contemporary Art. Click to inquire.